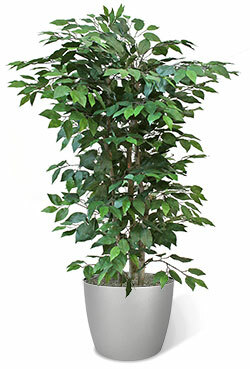 Our best-selling Ficus Benjamina is the closest match you’ll find to the real thing. 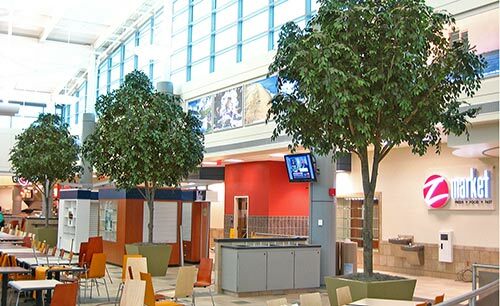 For construction, color, appearance and price, they can’t be beat. 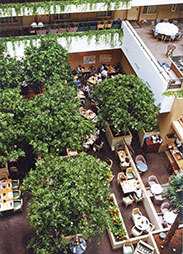 The canopy simulates a real ficus in width and layered branching. 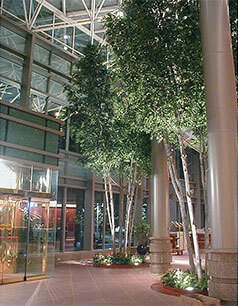 The trunks are heavy caliper silver maple which best replicates an actual ficus trunk. 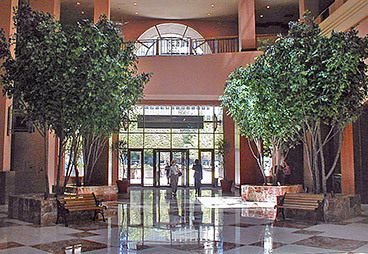 These can be made in sizes from 6 ft. to 35 ft. tall. 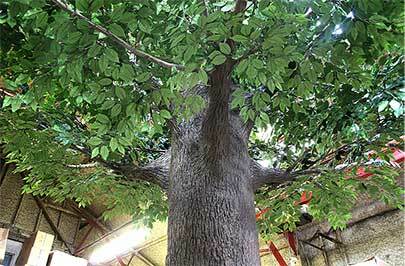 With our large selection of sizes, number of trunks, and price ranges, we can match a tree to fit your specific needs. 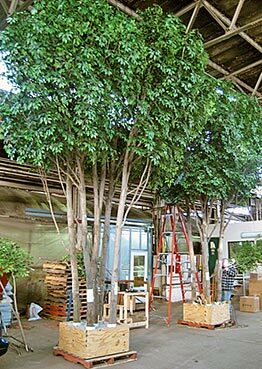 These trees are custom manufactured right here in our Pittsburgh facility. 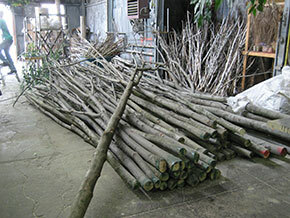 Above is a shipment of quality real maple trunks which we procure from nearby locales. 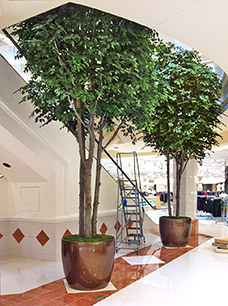 On the left, 18' multi-trunk ficus are fitted and prepared to be disassembled, wrapped and shipped. 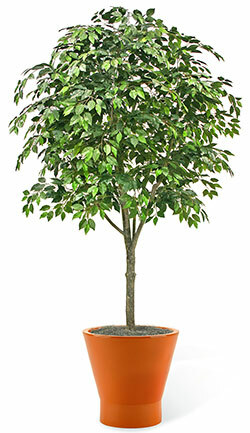 Available in bush form and topiary form as well. 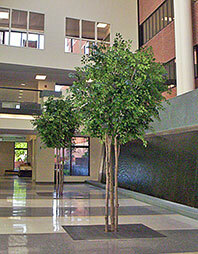 Our large multi-trunk ficus, shown here from 12' to 20' can be planted in decorative containers, built-in permanent planters or flush planted into recessed floor receptacles. 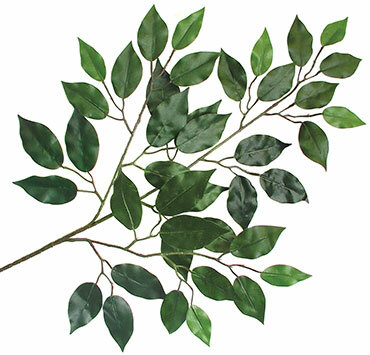 Ficus foliage is very popular on our specialty line of Museum Series Trees These are large trees with molded bark trunks which resemble live trees you’d see in the forest. 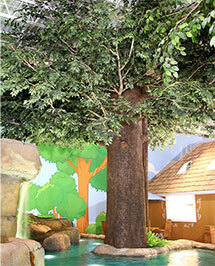 See more pictures in our Museum Series Gallery. To order call 1-888-745-5701 or email Blaine Leister.